This week I’m presenting reviews of two EPs. I have put them together because I wanted to post two songs. I don’t think it’s fair to the artists to post two songs from an EP that only has six or seven in all. So this is my solution. Dare Dukes approaches songwriting differently than most. He creates a character, and for the space of a song, becomes that character. Dukes knows all that his character knows, and the song is a snapshot of their thoughts and mood at a single point in time. This results in fascinating lyrics, but the danger is that Dukes may make assumptions that we can’t, because we don’t know the character well enough. The opening track is a good example of this. The Ballad of Darius McCollum gives us a picture of one man’s obsession with the New York City subway system. McCollum knows every stop on the line, and believes that he can make the trains run on time. The last verse makes reference to judges and the police. And that is all Dukes tells us. I was able to research this one, because Darius McCollum is a real person. McCollum lives in New York City, and has Asperger’s Syndrome. Those who have Asperger’s often become intensely knowledgeable on a narrow subject, and act on this knowledge in ways that are not always appropriate. Darius McCollum dressed himself as a transit worker and hijacked a subway train, taking it several stops down the line before being stopped and arrested. Since then, he has made several additional attempts. While McCollum controlled the train, it did indeed run on time. You would not know any of this from the song, but Dukes does show a remarkable understanding of McCollum’s mindset. As far as I know, the rest of the characters Duke presents here are fictional. And they are an odd lot. Lucas explains what draws him to demolition derbies, and what makes him a real fan. The man in Sam’s Cathedral is a father with a lot on his mind as he shops with his family, and the cathedral of the title may be a Sam’s Club. And a man journeys to Bakersfield to see a woman who might be a former lover, and he thinks as much about the town as he does about her. All of this has a remarkable affect on the listener. Although we cannot inhabit these characters as fully as Dukes does, we are taken out of ourselves for the duration of the song. And because Dukes is drawn to fringe characters, we find ourselves thinking in ways that are strange to us. And that’s a healthy thing to do at times. Musically, it is simplest to say that this is rock music. 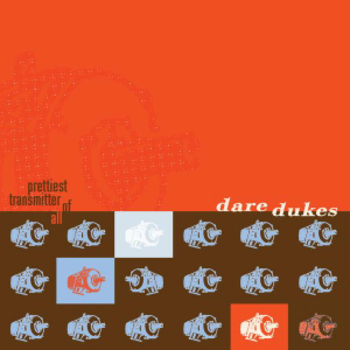 And Dukes has a great gift for hooks; this is music that will stick in your head. But Dukes is also interested in texture, so there is a cello here and a trombone there. He also has a fondness for odd synthesizer sounds; they do blend into the overall sound, but a close listen reveals what sound to me like very old synthesizers, from before the time most musicians used them. In his press materials, Dukes says that he wants to push his musical boundaries on his next project. I look forward to hearing where that takes him. Overall, I like his lyrics, but I hope he gives listeners a little more context next time. But, mostly, I hope his next project is a full-length album. These seven songs left me wanting more. Suzi Ragsdale sounds like Suzi Ragsdale. I’m sure she could list off her musical influences if asked, but Ragsdale has found her own voice. Best Regards includes six original songs, and it was hard to pick just one for this post. I chose Wishbone, because I find that I cannot listen to it and sit still at the same time. The song features an arrangement for a full folk-rock band. But I could just as easily have gone with Virginia, arranged for acoustic guitar and strings. Or the title track, for Ragsdale’s piano playing, with bass, acoustic guitar, strings, brass, and woodwinds. Or Two on a Tightrope, with full band and circus effects at the end. All of this may make it sound like Best Regards is overproduced, and no one would be more bothered by that than me. But Ragsdale is cooking here, and she is in perfect control of her ingredients. She gives each song the arrangement it needs, and nothing is overdone. And her voice is always out front in the mix, with the arrangements complimenting her voice, never competing with it. Ragsdale sings in an alto voice, which goes from an almost whisper, to a purr, to a clear tone. Again, she knows exactly what each song needs. And she puts over the feeling of each song without ever oversinging. Ragsdale’s songs are short stories. A good short story should have a tidy plot, a sketch of the character, and a satisfying denouement. And these are good. Wishbone charts the progress of a romance through the changing wishes of its protagonist. Two on a Tightrope also tells of a romance, this time through the metaphor of a tightrope act. And in Virginia, a heartbroken woman gains some much-needed perspective by observing her elderly neighbor at work in her garden. I hope this review does not sound overly adoring. But this CD just knocked me out. I do however, have one complaint: there are only six songs! I have had word from Ragsdale that she is working on a full-length album. I’m looking forward to it. Soon enough, the littlest pig tangled with a hungry wolf, and his house was destroyed. But this house too could not withstand the wind power of the hungry wolf. Soon enough, the wolf showed up. But his wind power was not enough to even damage this house. 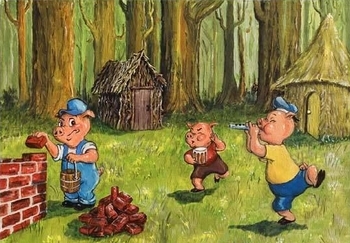 And so, the three pigs lived there for the rest of their days, in comfort and safety. And for all I know, the house may still be standing now, even though our tale takes place a long time ago. Now, your humble story teller may have left out some key details. So let me provide another take on the tale. The Storycrafters are a couple, Barry Marshall and Jeri Burns, who tell stories at folk gatherings and in schools. I first heard them at the Great Hudson River Revival. My daughter must have been six or seven at that time, and she insisted that we buy one of their CDs on the spot. It has been a favorite of the entire family’s ever since. I posted my review of The Great Migration by Ali Marcus here without the purchase information or the album art, because that information was not available at the time. The song links from the original review are active, so now you can listen, and then link through to get your copy. I would also like to announce at this time that I am considering running an end-of-year readers poll of the best albums reviewed here during 2009. This would be instead of the usual best of the year lists you see on other blogs. I would like to hear from my readers what you think of this idea. And the reviews I’ve done so far currently have active song links, but I will need to take the oldest ones down soon, so if you want participate, get listening. Billy Jonas: Who‘s Gonna Make Our Music? 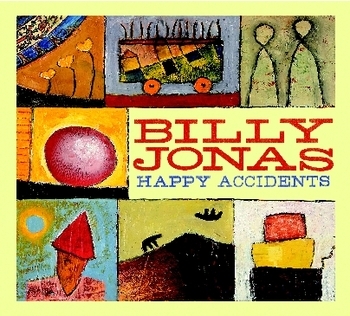 Of all the artists I’ve reviewed here to this point, Billy Jonas is the first one I was familiar with before receiving the new album. In particular, my family and I had the great pleasure of attending one of Jonas’ family shows. Yes, you heard that right. This week, Oliver di Place takes on the dreaded subject of kid’s music. My standards for judging kid’s music must be different from the norm. First of all, mine is not the most important opinion here. What do my five-year old son and thirteen-year old daughter think? If they don’t like it, it’s not good kid’s music. Then and only then do my views become relevant. But it’s still not good kid’s music if they never get to hear it, because I can’t stand it. So the music must offer something to keep the adults interested as well. This is a very difficult balance to achieve. When we saw Billy Jonas perform, he opened his show with a brief explanation of his strange percussion instruments. Jonas uses a set of plastic containers in various sizes from small to huge, and he also keeps an acoustic guitar on stage for later in the show. He explained quickly that he wanted us, the audience, to find car keys to shake, or slap on ourselves (my preference), or some other means of making a beat. He also wanted us to sing along as soon as we knew the words. As Jonas put it, he wants the audience to join the band. And we did. There was none of the embarrassment that sometimes follows when a musician asks the audience to sing along. And the place rocked! Happy Accidents opens with Eyes Wide Open; this is just the way Jonas probably opens shows on the current tour. The song is mostly percussion and voice, and it is clearly a piece that Jonas hears in his head with the audience included. The background vocals serve as a guide to where to sing along at the next show. But even if you never see a Billy Jonas show, this is a dive-right-in, high energy open, and a good listen. Who’s Gonna Make Our Music? is a statement of purpose. The song clearly states Jonas’ musical philosophy of audience involvement. I’m surprised that Jonas only just thought of this song. The song is arranged for a full band, and is another high energy track. From here, Jonas mostly keeps the energy high, sprinkling in an occasional slow number to make the overall listening experience more interesting. The slower numbers tend to have the greatest appeal for adult listeners, but the subject matter is also completely appropriate for the kids as well, of course. In these slow numbers, Jonas sings optimistically, but never cloyingly, about the state of the world. There are also some mid-tempo numbers, which involve inspired nonsense to tickle the funny bones of adults and kids alike. One Tutu Too Many is a fine example. Throughout, Jonas demonstrates a mastery of the art of pacing. He knows how to start with a bang, when to take it down a bit, and how to build it back up. The album concludes with the Wake Up Suite. This can be considered as five short songs, or as a medley. The five parts tell of a boy’s morning rituals, from getting up to leaving the house for school. The musical styles change for each part of the suite, and the tempos shift as well. But somehow, the whole thing hangs together, and takes the album out on a high note. Just a few final words. As an adult listener, I would prefer fewer kid vocals on the album. And one song, What Kind of Dog Are You? is a sequel to What Kind of Cat Are You?, the title track of an earlier album; the new song strikes me as fun, but unnecessary. But these are minor complaints. My kids love this album. And I want to point out one more standout track, which has quickly become a favorite among the adults; Hollow Bamboo is evidently a traditional song from Bali, rendered here in English, and it is just beautiful. Over at Star Maker Machine, we just finished a week of drinking songs. In choosing my songs to post, I considered the selections below. However, I decided that neither one qualified as a true drinking song. That’s because no alcohol is consumed in either song. In each case, the narrator is saying that they don’t need to get drunk at all, because they are already drunk on love. Very little needs to be said about this one. Cole Porter’s classic song becomes a classic cut for Ella. This represents the perfect mating of song and singer. A while back, I wrote about how The Weavers’ career was cut short by the blacklist. Ironically, the music they pioneered, small combo pop-folk was about to become a huge pop music phenomenon. Following the demise of The Weavers, there came a wave of these groups onto the charts. One of the most popular was The Kingston Trio. Oddly enough, the best survey of this scene, and the musical styles within it, that I know of was created as a gentle and affectionate spoof: the movie and soundtrack of A Mighty Wind. I love thunderstorms. The senses are heightened. Change comes rapidly, sweeping away serenity and stifling heat. There are wild, unpredictable bursts of energy. The power is awesome, untamed, even a little frightening, and certainly dangerous. I know not to get too close. But I also feel alive. 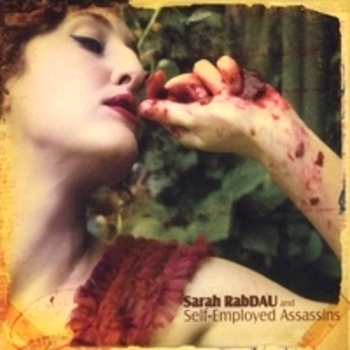 Listening to Sarah RabDAU and Self-Employed Assassins is like that. The storm is an emotional one. But the power is just as real. RabDAU describes emotional turmoil in her songs. Many have tight song structures, but some contain brief musical outbursts, if you will, moments when the song structure is set aside for a musical motif that appears out of nowhere, and then disappears, never to return. The songs often start quietly, then slowly build to a bursting point, only to subside, and start the build all over again. Crushing, which opens the album, is a perfect example of this. All of this serves the lyrics perfectly. RabDAU sings about relationships which she dives into with all of her heart, only to find again and again that the object of her passion has not engaged himself so fully. She does not seem able to test a relationship, always giving herself fully, and heartbreak ensues. In Boxing Helena, the fourth song on the album, she finds herself feeling imprisoned in a relationship where her “lover” wants to keep her to admire as an object, but does not love her as a person. This far into the album, I was not sure if the protagonist in the song had been literally dismembered, as in the movie, or if this was just a metaphor. The feelings in these songs are that intense. I was glad that RabDAU clarified the matter by telling of her protagonist’s escape. 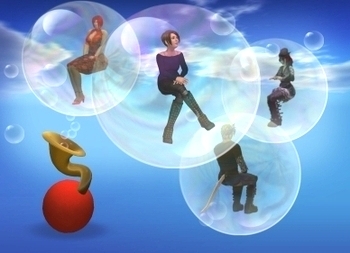 The songs are told in the first person, with one exception. Eight songs into the album, RabDau gives us Jackie. Here is a man who started making music forty years ago, and now finds himself with his first hit. The tone here is much lighter than the rest of the album, and the song, falling where it does, functions in almost the same way as a scene of comic relief in a Shakespeare tragedy. I can’t think of another time when song sequencing mattered so much, or worked so well. RabDAU’s musical influences are fully on display. Most obvious to my ear is the influence of Tori Amos. The arrangements are for voice, piano, and drums, with electronic keyboards and electric guitar used for texture. RabDAU’s voice goes from an impassioned whisper to a high-pitched almost scream, but it never sounds forced. At the lower end of her vocal range, RabDAU can sound like Fiona Apple, but she never stays there for long. And some of those musical outbursts I spoke of earlier sound like they were inspired by Kate Bush. RabDAU’s taste in influences is perfectly suited to her subject matter. At this point in her career, the most original aspect of RabDAU’s musicality is her use of strings. This is usually a string quartet, and RabDAU uses it almost as a percussion instrument. It’s a powerful effect, and it serves the songs well. So Sarah RabDAU is an intense artist, who I wouldn’t to listen to everyday, because sometimes it would just be too much. And she is still finding her own voice. But I will look for ward to finding out what she does next. I have begun to settle into a vibe here of presenting the milder varieties of what could be called, for lack of a better term, singer-songwriter music. I do love this music, and I will surely do more of it. But, before this becomes set in stone, I want everybody to know that I also like other music. So, over the next week or so, I’m going to be stretching things out a bit, musically. Here’s a taste of what I mean. Jazz is difficult for me to find the right words for, when writing about it. But I know when I hear something I like. I’ve liked the work of Herbie Hancock since I first heard his album Headhunters, through discovering his work with Miles Davis, and on into finding out about his acoustic jazz works as a leader. 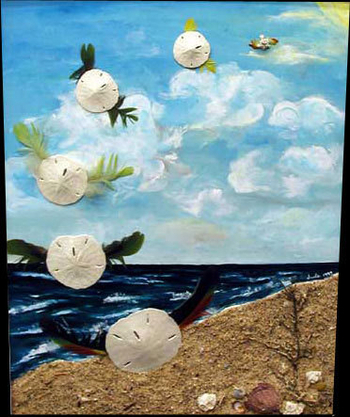 Here, Hancock reimagines Joni Mitchell’s song, Tea Leaf Prophecy. He even enlists Mitchell to provide the vocals for a cover of her own song. World Music is something I will be writing more about soon. Although David Byrne originally recorded Loco de Amor for the soundtrack of the film Something Wild, the song was later added to Byrne’s album Rei Momo. The album explores the rich variety of song styles in the Latin world, and this song fits right in. I also love the groove of the best that funk has to offer. But don’t ever confuse funk with disco. The Neville Brothers are New Orleans’ first family of funk, dating back to when various members were involved in the Meters. Even this is only a taste of the kinds of music I enjoy. Stay tuned to this space for more soon. 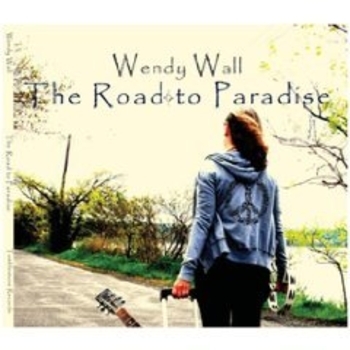 Back in 1989, I read about a singer/ songwriter named Wendy Wall, who was releasing her debut album on a major label. I didn’t get the album at that time, but when I found it in a bargain bin a few years later, I couldn’t remember what I had read, but I recognized the name and bought it on spec. That was one of my best buys ever. The album has been a favorite of both my wife’s and mine ever since. Over the years, I got to wondering what became of Ms. Wall. It was clear that the album must not have sold the way the label wanted, and she was dropped. But surely a talent like this could not vanish completely. But so it seemed. So I was thrilled when I learned that Wall had a new album coming out. And this one does not disappoint. Where had she been? It turns out that I missed one album, and there was another that was never released. But still, that’s only four albums in twenty years. The songs on The Road to Paradise go a ways towards answering this question. Wall has been through some very hard times emotionally. Many of the songs here reveal a woman who has found love, but is having a hard time believing in it after so much heartbreak. The album opens with I Woke Up Dreaming; Wall is guarding her emotions here, making metaphysical references in the lyrics as a shield against possible pain. As the album progresses, the lyrics show her discovering that she has found love. Her reactions range from “here we go again” to “at last”. And there is not a straight line to a happy ending; progress towards acceptance and joy is messy here as it is in life. I get the sense that Wall is getting there, but she’s still working on it as the album closes. But she’s winning. For me, Back in April could be the statement of theme for the album. From the vantage point of late summer, Wall’s narrator remembers the emotional thaw she experienced in the spring, after a long frozen winter. She uses the metaphor of the first flowers and tree buds of the year to describe both her sense of caution, and the joy of new life. I’ve never heard this put better. Musically, Fool’s Gold stands out from the rest of the songs on the album. The song uses a rhythm similar to Stray Cat Strut in a mostly acoustic arrangement. Otherwise, the album features mid-tempo ballads with acoustic guitar, light electric guitar, bass, and drums. There are ocassional piano, mandolin, or banjo parts for flavor. But the album is not boring musically. Rather, this is a set of consistently good songs, with one change of mood that works very well. And Wendy Wall has a marvelous voice. Usually, I don’t like vibrato. It is often a symptom of oversinging. But Wall has a subtle vibrato which makes her voice shimmer. It’s a very unusual effect, and it sounds great. So Wall has been in an emotional space which kept her from making music. Now, she is feeling better, and she is making music again. With any luck, her happiness will continue, and we will get to hear her more than three times in the next twenty years.